Do you want to get rid of the wet dog smell, chewing of the paws, or loose stools? If your dog has one of these issues – it’s probably the dog food you are providing them. Look at the first 4 ingredients on the bag. The first 4 ingredients should be proteins, and/or vegetables. There should be no wheat, corn or any grasses included in their food. If you can’t recognize the fifth ingredient it’s most definitely the food. 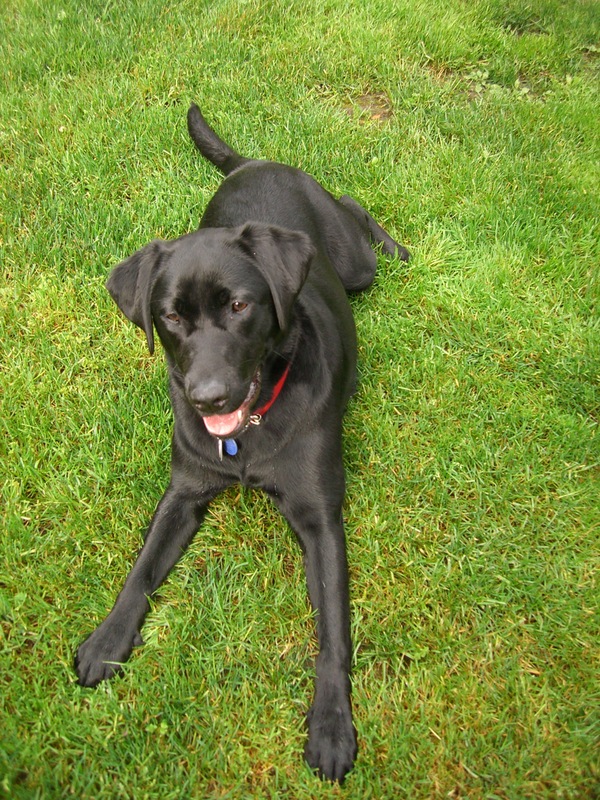 I feed Reef – my 7-year-old black lab – Acana. It is a Canadian company and you can purchase the food at All The Best Pet Care. Canadian dog food companies have higher standards on dog food. I mix flavors in a large Rubbermaid container i.e. salmon, lamb, beef, chicken etc. (Be sure to wash out the Rubbermaid container when you finish one lot because bacteria can grow). Mixing flavors within a company is okay for the dog, however mixing between companies is very hard on the dogs stomach because the base ingredients of the foods are different. If you are making a switch in dog food be sure to go slowly. i.e. if your dog eats 1 cup of food per day – be sure to give your dog 3/4 cup of old dog food and 1/4 cup of new for 4 days, then slowly decrease the old over 8 days. Dog food sold in independent dog stores are more expensive because of the ingredients, however you will feed your dog less on the ‘good’ stuff versus the stuff you find at Costco, Pet Smart, Petco, online or grocery stores. Hills Prescription – which is Science Diet is sold exclusively for vets, but it’s not great either. Hills sponsors veterinary schools thus they have an exclusive contract with vets. Take a look at the ingredients and you will find that it is not healthy. If your dog has been sick, recovering from surgery or appears not to do well with any food or has lost interest in food – plain cooked chicken and rice is always a good fall back. One of my customers had a rule if he wasn’t able to eat it, then he wouldn’t give it to his animals. Thanks for the tips. We are welcoming a Havanese to our home soon. Looking forward to your Dog Blogs !